play the Pick 5 Super Series Raceway Game. are entered to win up to $1,000 in Free Play. 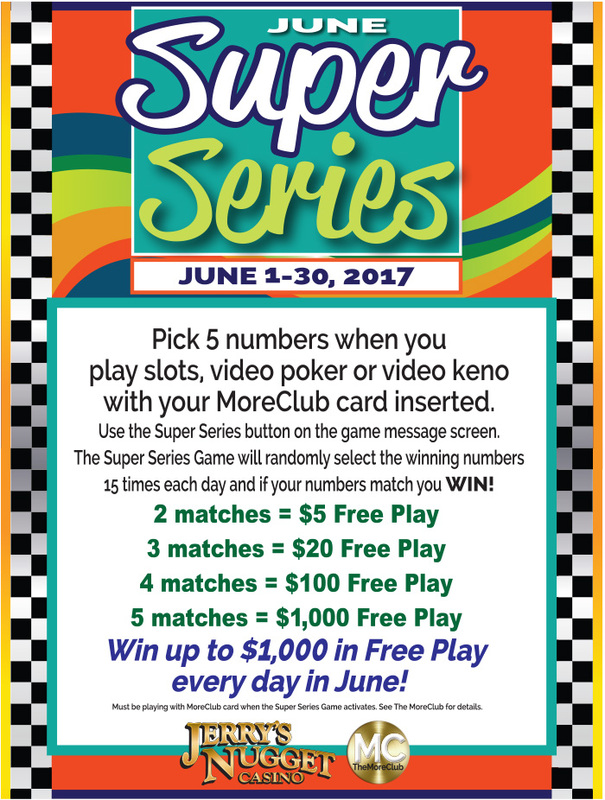 The Super Series draws 15 times each day! When your lucky picks match the game draws – you win!